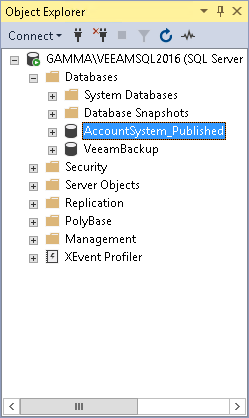 On the Database tab, select Publish database > Publish to or right-click a database and select Publish database > Publish to. 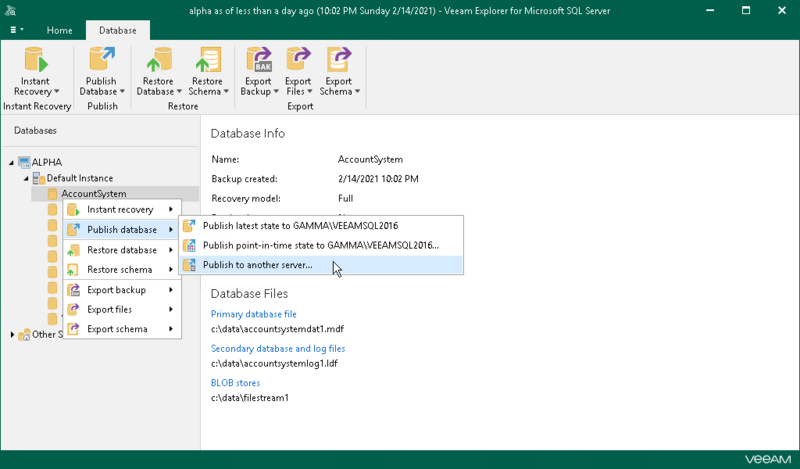 Once you complete the wizard steps, Veeam will create a new node, called Published databases, under which you can find all the databases that have been published during the current session of Veeam Explorer. To work with published databases, open a SQL tool you prefer, for example, Microsoft SQL Management Studio and locate your published databases. The figure below demonstrates a published database (System_Collection_Published) available in the Object Explorer window of your Microsoft SQL Management Studio console. 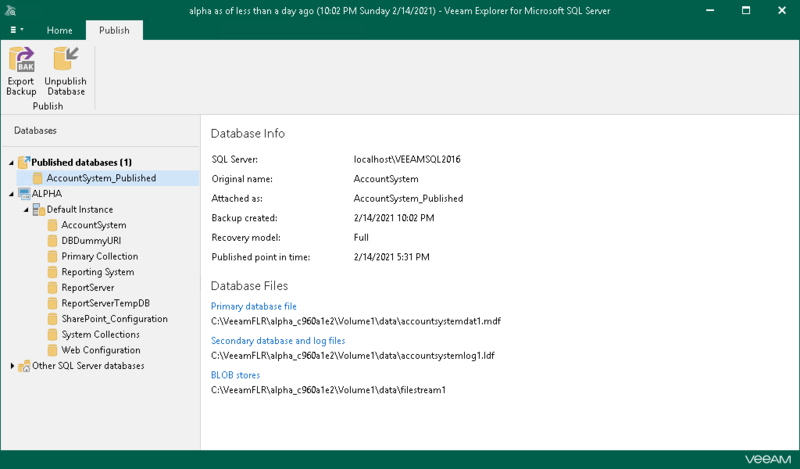 This database is also being referenced by Veeam Explorer under its Published databases node.